Strong results from the IMPACT study in low-A1c users. There was not a significant difference in A1c between the groups by study end – both saw a very small 0.15% increase from baseline to six months (6.7% to 6.9%). The “quality” of A1c based on time in range, however, definitely improved on Libre: a decrease of 22 minutes per day in severe hyperglycemia (above 240 mg/dl), and an increase of ~60 minutes per day spent “in range” (between 70-180 mg/dl). The nighttime results help counter the argument that Libre’s lack of alarms poses a danger. There is now solid evidence from two studies that Libre can help patients and providers identify some nighttime hypoglycemia and make changes accordingly. IMPACT highlights the daunting amount of hypoglycemia those on insulin therapy (type 1 in this case) are experiencing every day. It is also a reminder of the tremendous challenges of dosing insulin as A1c approaches 7%. Patients at baseline were spending ~200 minutes per day – more than three hours – under 70 mg/dl! 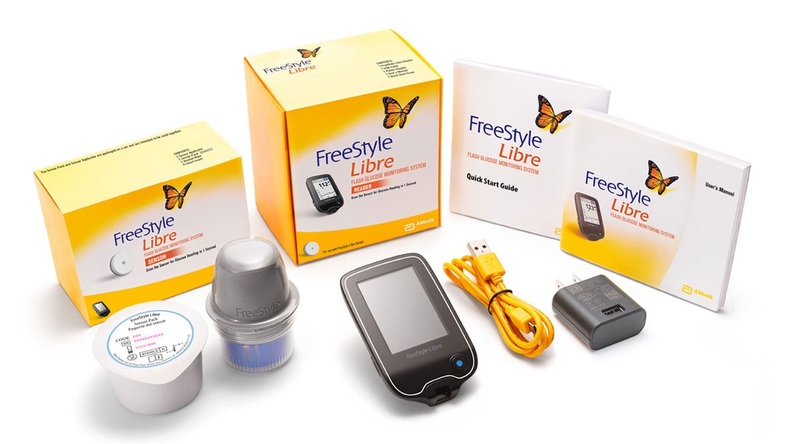 The hypoglycemia improvement with FreeStyle Libre was very meaningful (-74 minutes per day), and there is still room to improve further: patients on Libre were still spending two hours per day less than 70 mg/dl at six months. Meanwhile, patients using just fingersticks were still spending over three hours <70 mg/dl per day, no change from baseline. In that sense, the results tell us as much about FreeStyle Libre’s ability to reduce hypoglycemia as they do about the real-world dangers of insulin therapy, especially in “well controlled” patients; three hours per day in hypoglycemia is downright dangerous. At the same time these patients would be congratulated for getting below 7%. Avoiding lows on insulin therapy is truly difficult as A1c gets below 7%, and we’re not sure that delicate balance is appreciated enough. These results also underscore the limitations of using A1c as the sole measure of good glucose control. Both groups saw a 0.15% increase in A1c in this study, though the quality of A1c improved markedly in the FreeStyle Libre group with significant reductions in hypoglycemia and more time-in-range. Meanwhile, the control group was still spending three hours per day in hypoglycemia with a “good” A1c 6.9%. Will the FDA and insurance companies appreciate the “higher quality” A1c outcomes that next-gen devices and drugs might bring? The IMPACT study follows the REPLACE study, which studied the Libre’s impact on A1c in people with type 2 diabetes and high baseline A1cs. Unfortunately, the Libre did not significantly reduce A1c in that study, though it did reduce hypoglycemia and improve quality of life as well (read more here). Abbott has broken the mold in glucose monitoring by conducting now two long-term outcomes studies (IMPACT and REPLACE) of FreeStyle Libre. There is a wealth of evidence here that more frequent glucose data is beneficial for patients and providers, and that A1c is not the only relevant measurement in clinical studies and real-world patient experience.